This weekend my sorority celebrated Mother’s Day a little early by having our own “Mom’s Day,” where we invited all of our mothers to a trip to Warner Bros. studios with us where we took a VIP backlot tour. Warner Bros. studios is located in Burbank, CA which is only about a 20 minute drive from Westwood. It was founded way back in 1923 when Hollywood was just becoming a popular place to film movies and less people lived in the LA area so it was completely doable for them to purchase a 32-acre lot just to make movies and television (nowadays, not so much). During the tour we got to see and learn about a ton of cool things! I myself am a huge “Pretty Little Liars” fan, so being able to see Rosewood, the main town in the show was super cool! Of course, I had to take a picture in front of Rosewood High School and pretend I was a pretty little liar myself. We also got the amazing opportunity to see the real-life set of Central Perk, the coffee shop from the popular sitcom “Friends,” that the main characters are always in. The tour guide told us that people come from all over the world to take this tour only so they can see and be in this coffee shop. 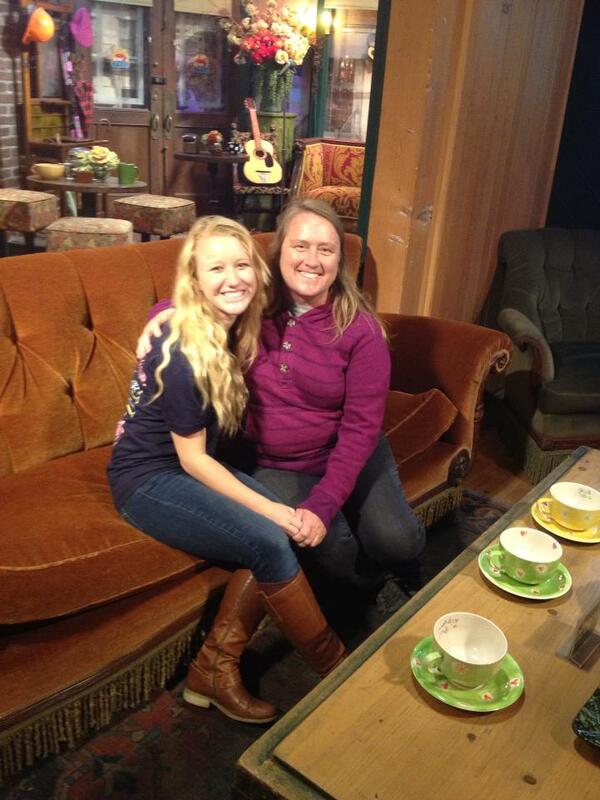 Being able to take a picture on the couch of this set with my mom was super amazing, especially since “Friends” is one of her favorite shows. We also got to see the set of Ellen and we went to a really cool museum with props and costumes from different Warner Bros. movies and shows, like Inception, Batman, and a whole entire floor for Harry Potter. Everything we saw was actually used in the movies and shows! After a really great day at Warner Bros. with my mom, I am even more stoked to go home for Mother’s Day this weekend and to see their latest film, The Great Gatsby!